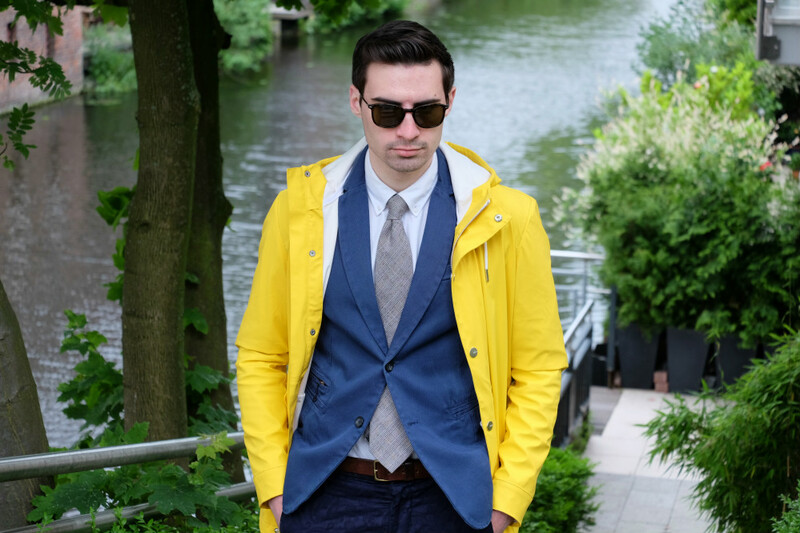 Pitti Uomo 88 is wrapping up and I must say that I’m feeling a bit jealous after seeing all of the street style photos of men wearing their summer suits. 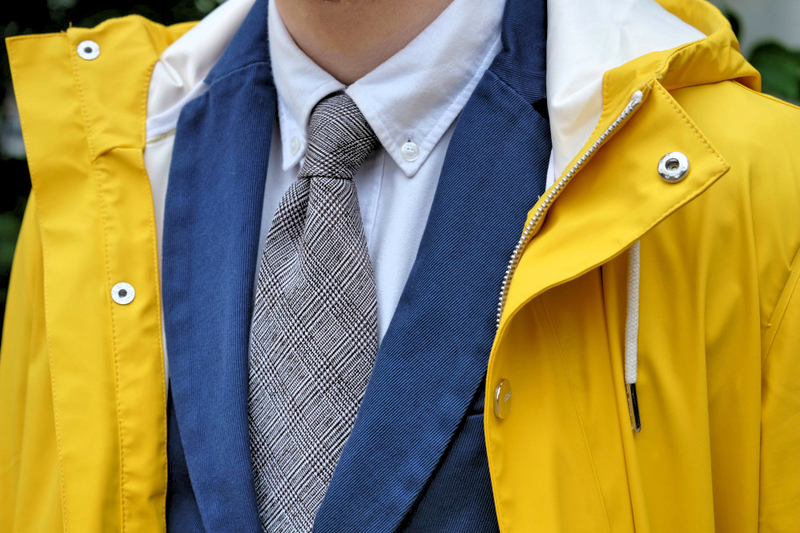 Despite receiving some invitations from some well respected menswear brands I wasn’t able to attend the events in Florence this year but am looking forward to attending in the near future. 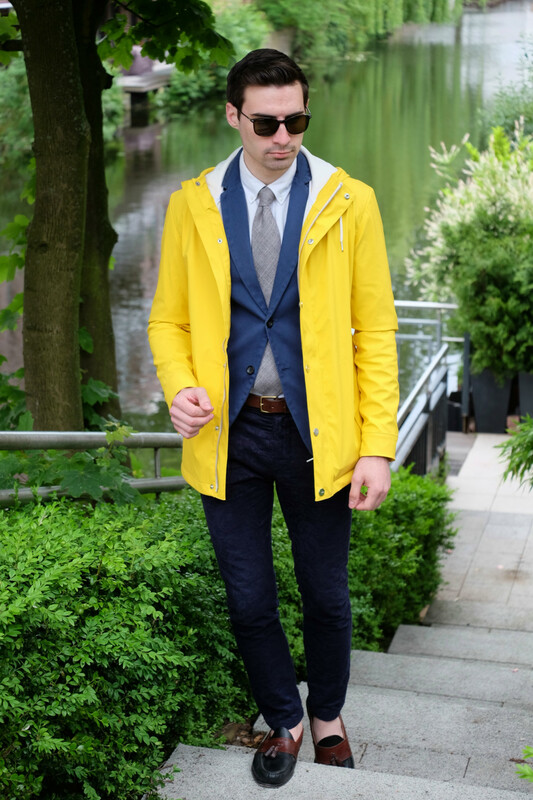 As for my outfit today it’s all about the rain. 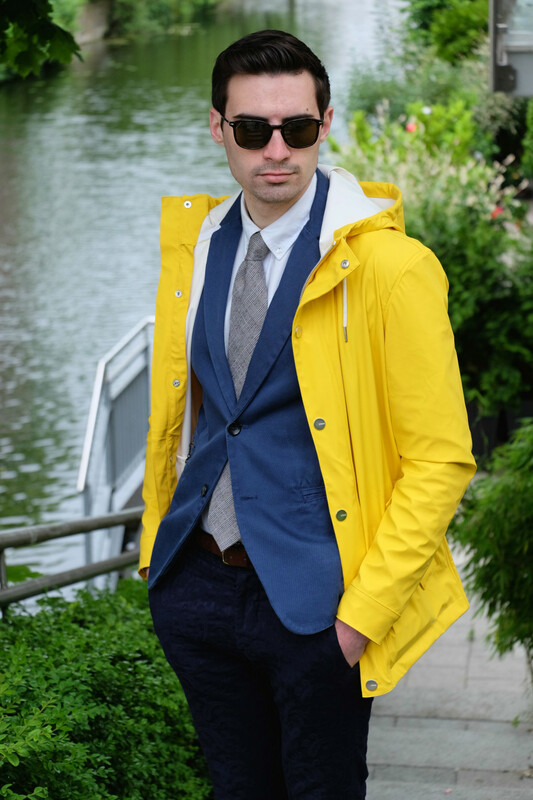 Unfortunately I’ve posted before about rainy weather outwear. I wish I didn’t have to but with the amount of rain that Hamburg gets I can assure you that there will be more of these posts. 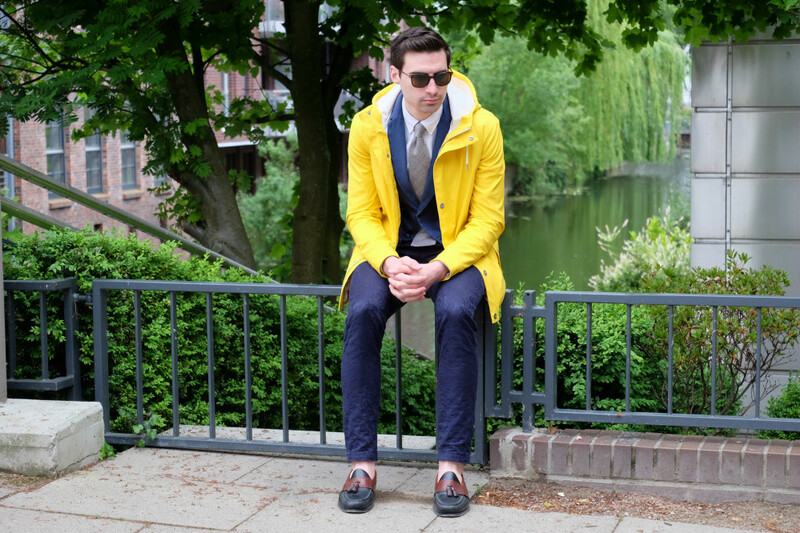 This time I’m wearing a yellow rain coat, a piece that is most commonly seen on young school children. 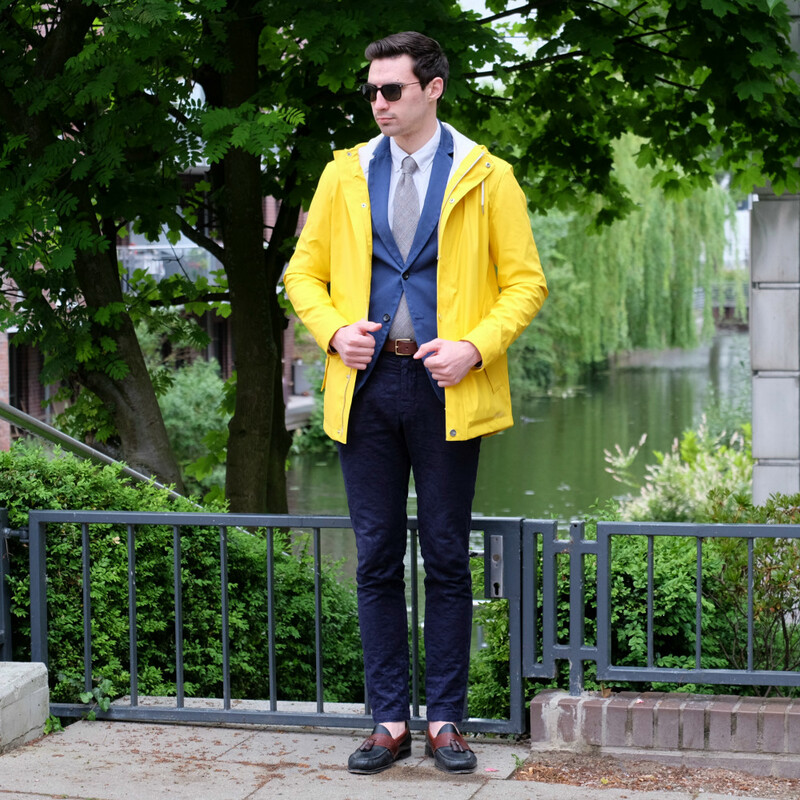 It may not be classic or formal enough for the boardroom but there is no better jacket to keep you dry. 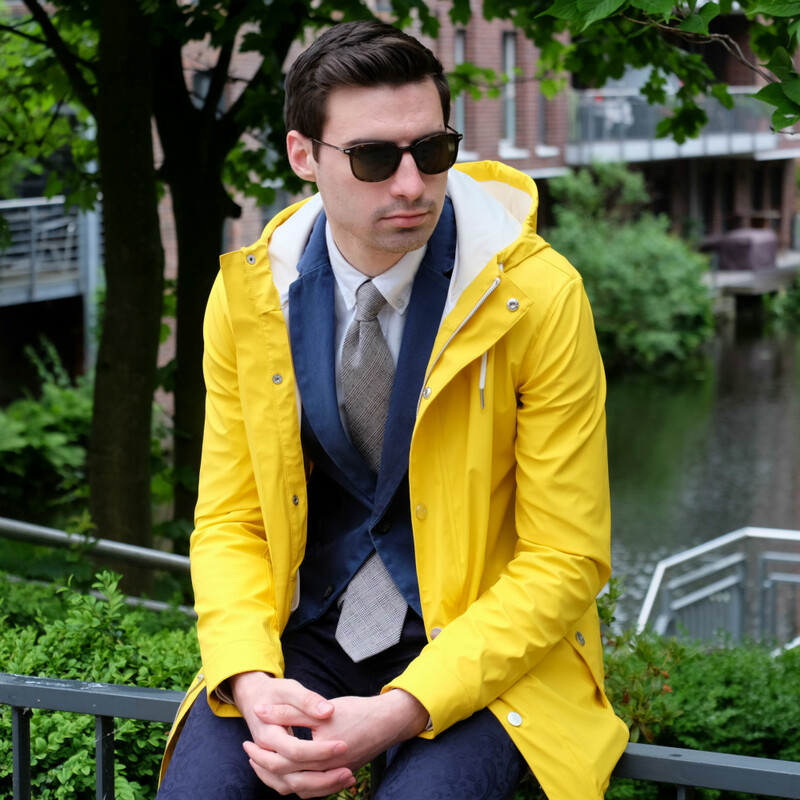 If yellow is too bold for you then check out this post from a few months ago featuring a more versatile blue raincoat from Versace. Hope you guys like the post and have a great weekend. This looks so sleek and polished. 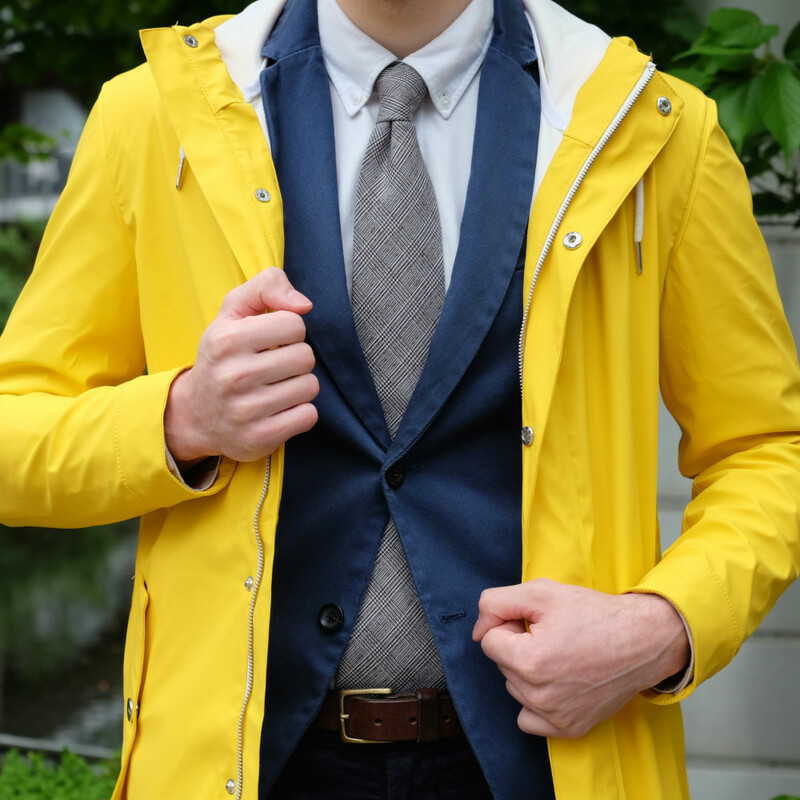 I'd love to get a raincoat like that since rainy season has pretty much arrived in my country.